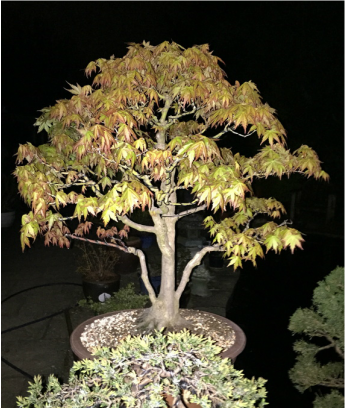 This is the standard Japanese mountain maple, 'yama momiji'. 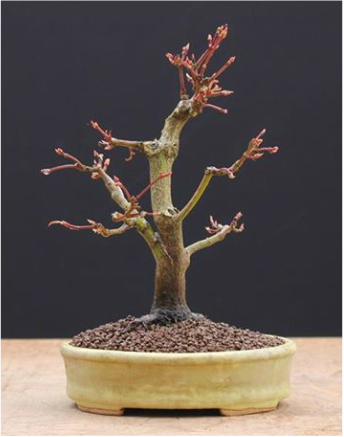 ​This cultivar is a vigorous grower, and is hardy in the southern UK winter climate. 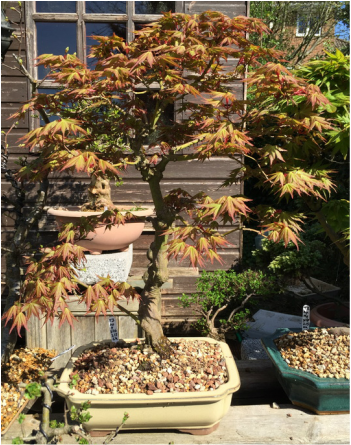 In Japan A. p. Palmatum grows as vast forests, and it has wonderful autumn colours, known as 'Koyo'. 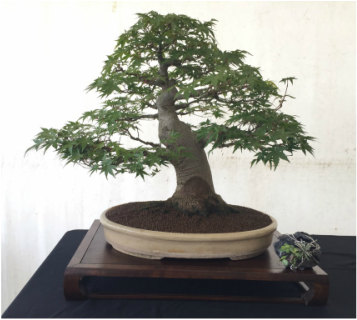 September 2016 - At the Will Adams (Shogun) festival with Maidstone Bonsai Society. 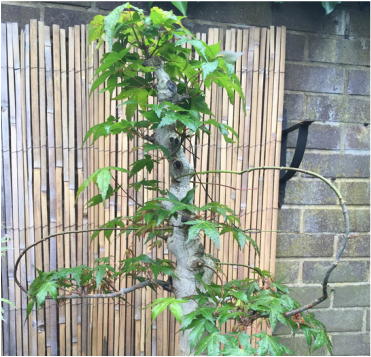 June 2016 - Three thread grafts competed. 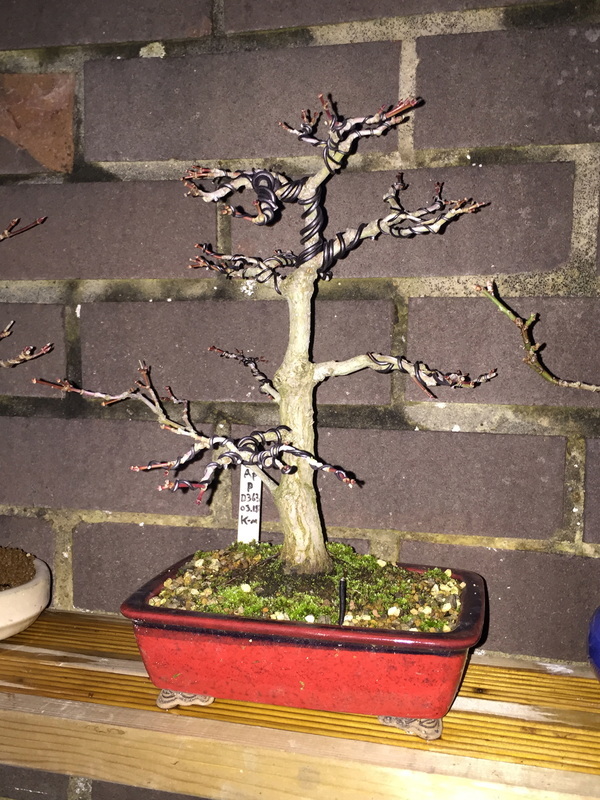 The donor branch will not be cut off for at least a year. Spring '16. Pot by Walsall Studio Ceramics. 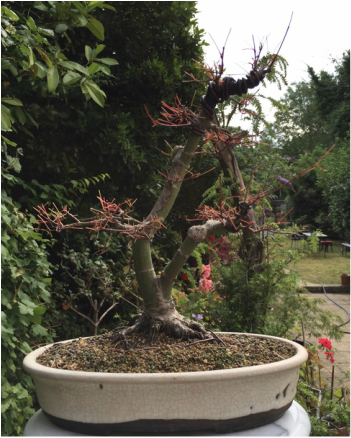 Shohin sized palmatum in a vintage Hattori pot, with patina building up.